There was a time when Sony ereaders were the best options available to early e-book adopters. That was before Amazon stole Sony’s thunder by introducing the first generation Kindle. Since then, Sony has struggled to stay relevant in the e-reader business. The company was simply not agile enough to compete with Amazon. Its e-book ecosystem was not that impressive either. Sony is already aiming high in the tablet PC market. It is also planning to breathe new life to its Sony reader products. According to Phil Lubell, vice president of digital reading at Sony Electronics, the company will introduce new hardware/software to challenge Amazon in this business. The company is not willing to give up on e-readers as long as they are much cheaper than tablets. Lubell explained. That is simply not true though. We already have decent Android tablets that are selling for around $350. Tablets are great devices to read on but they do not replace dedicated E-ink e-readers such as Kindle. 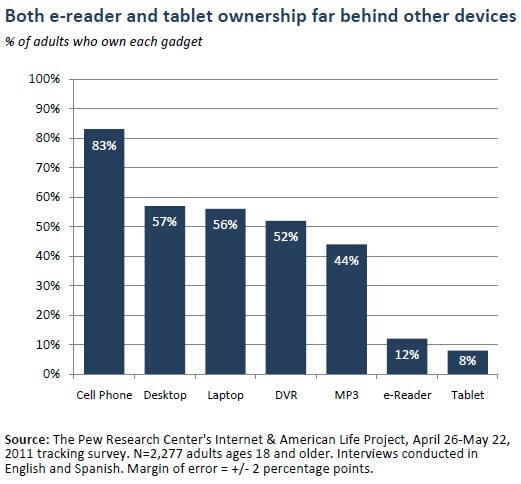 In fact, e-readers are outpacing tablets in adoption rate among consumers. While it is exciting to see Sony still being serious about the e-reader market, it will have a difficult time selling e-readers with its current pricing strategy. Most top e-readers now cost around $140. Will Sony drop its prices? That remains to be seen. Previous story Amazon To Release 2 New Kindles?